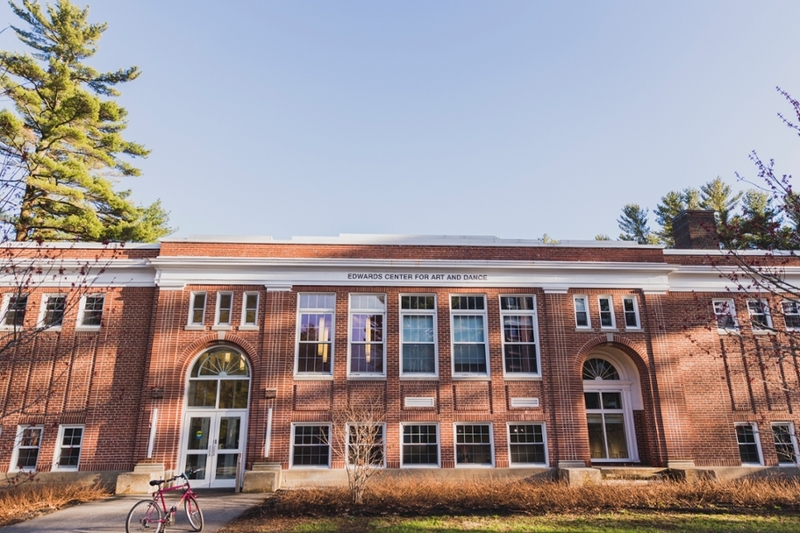 Equipped with modern art studios, classrooms, critique spaces, and a digital media lab, the Edwards Center creates a conducive and vibrant environment for the arts at Bowdoin. Located at the site of the former Longfellow Elementary School, the Robert H. and Blythe Bickel Edwards Center for Art and Dance is named after Bowdoin's thirteenth president and his wife. The Edwards Center opened its doors in August 2013 and serves as home to Bowdoin's Department of Visual Art. The single location of the department enables faculty and students engaged in dance, painting, drawing, photography, sculpture, architecture, printmaking, woodworking, and digital media and design to work together under the same roof, creating a cohesive arts community and numerous new opportunities for artistic synergy.